Author: Choy, Wayson Set In . . . 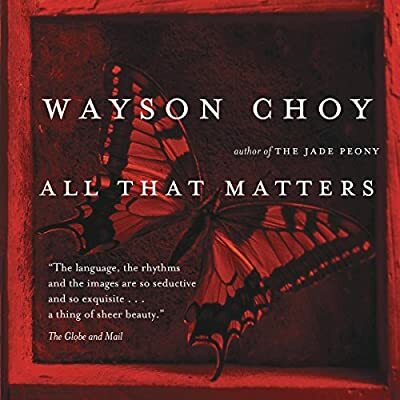 Winner of the 2005 Trillium Book Award, finalist for the 2004 Giller Prize, and long-listed for the 2006 International IMPAC Dublin Literary Award, All That Matters is the eagerly anticipated sequel to Wayson Choy's award-winning first novel, The Jade Peony.Kiam-Kim is three years old when he arrives by ship at Gold Mountain with his father and his grandmother, Poh-Poh. From his earliest years, Kiam-Kim is deeply conscious of his responsibility to maintain the family's honor and to set an example for his younger siblings. However, his life is increasingly complicated by his burgeoning awareness of the world outside Vancouver's Chinatown. Choy once again accomplishes the extraordinary: blending a haunting evocation of tenacious, ancient traditions with a precise, funny, and very modern coming-of-age story.